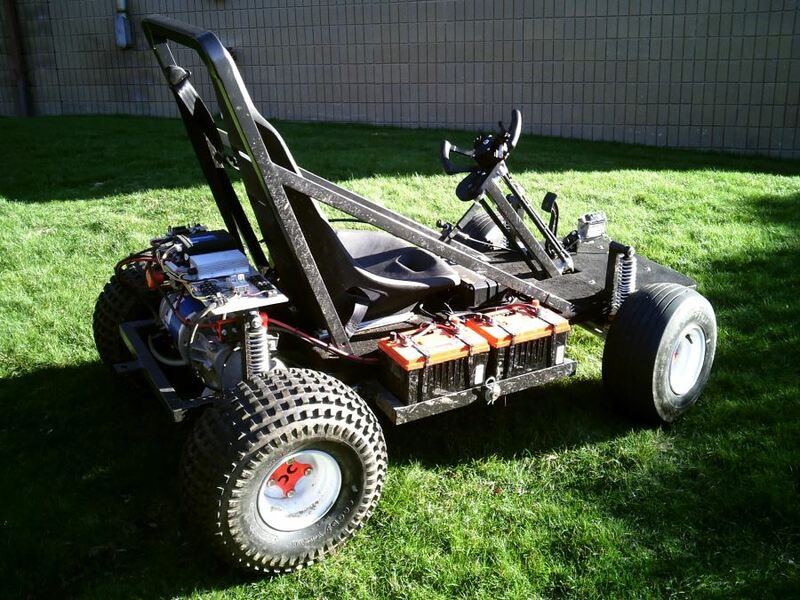 generic drive platform for a low-speed electric vehicle. 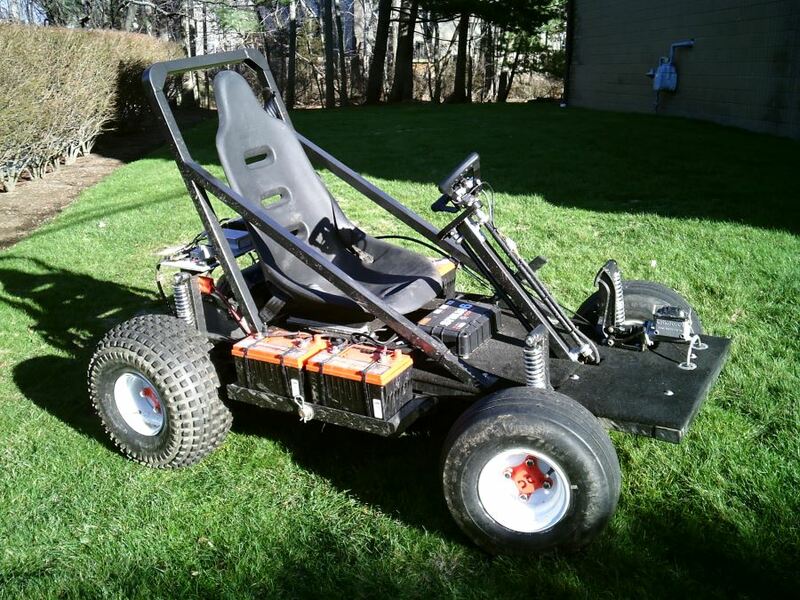 suspension, hydraulic brakes, 2-speed transmission, and a locking differential. is by Curtis, and the 2-speed differential was made by Imagination Engineering. and the range is 20 miles. 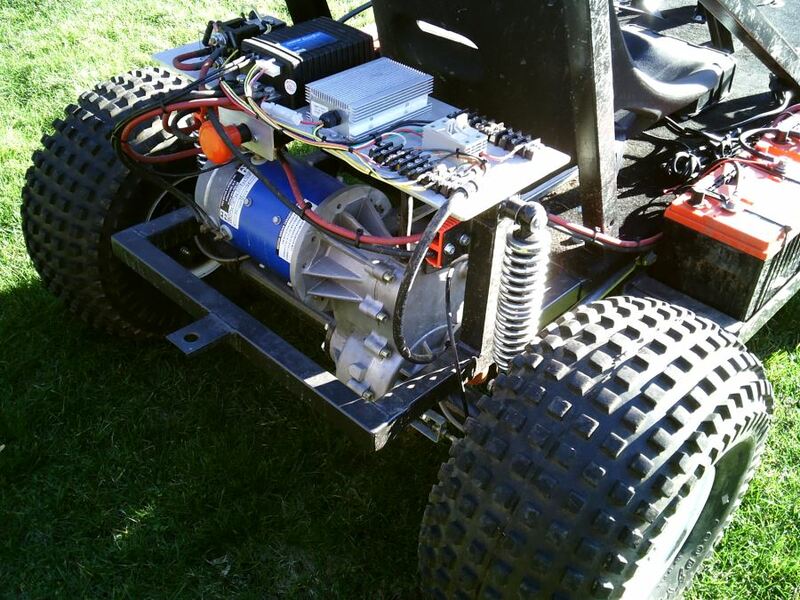 Low gear has proven to be very useful for steep hills and trailer pulling. High gear is used for all normal driving.